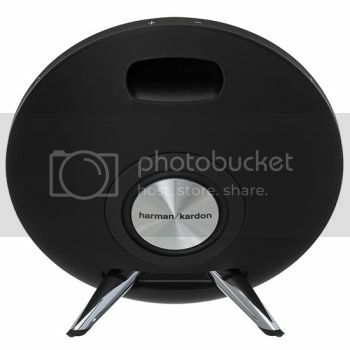 The Harman Kardon Onyx Studio offers a truly powerful, solid one-piece Bluetooth speaker with full sound capabilities. Its not really that bulky although admittedly it’s a bit larger, less rugged, and more expensive than most portable Bluetooth speakers. Harman Kardon Onyx Studio Harman Kardon Onyx Studio can put out enough sound, particularly in the low end, to justify its size and price. You’ll notice a bit more focused on bass yet it gives less crisp high end than the adjustable-bass-and-treble, always-plugged-in Marshall Stanmore or the much more portable (but less powerful) Bose SoundLink. At $199, the Harman Kardon Onyx Studio remains to be very appealing speaker.